I remember being really impressed a few years back when my friend was telling me about how she made her own baby food. She told me how she bought fruits and vegetables, cooked them, pureed them, and froze them in an ice cube tray. It never crossed my mind that someone could make their own baby food. I didn’t have kids at the time, but once I had a baby of my own, I learned how common it was to make baby food at home. I was all excited about doing it, but once I started, I realized that there were some definite downsides as well. You can save quite a bit of money by making your own food. 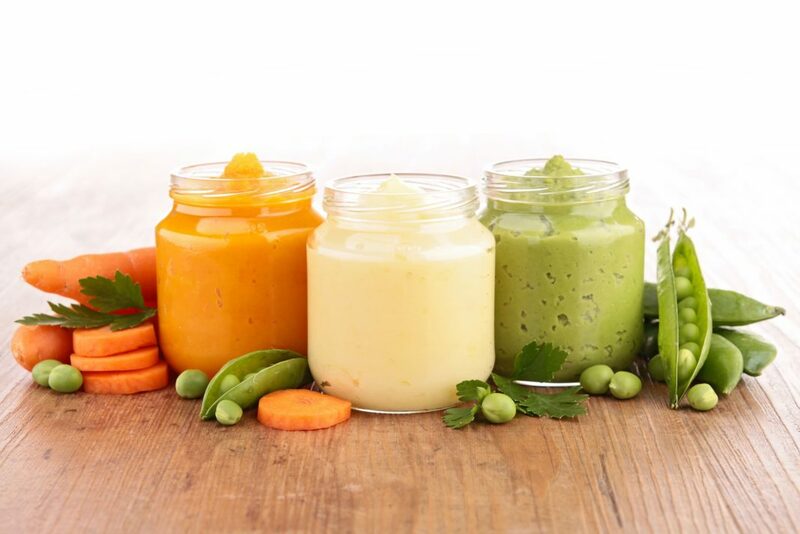 It’s estimated that making your own baby food costs you a third of what it costs to buy commercial baby food. A 4 ounce jar of baby food costs about $0.50. If your baby eats 3 jars a day, that equates to $45 per month. Now, if you were to make the same amount of food, it would only cost you about $15 which would be a savings of $30 per month. So if your baby eats 3 jars per day for six months, that is a savings of $180! I imagine that your baby will eat more than that so you should expect even greater savings. There are a lot of baby costs so you need to save where you can! Who doesn’t like to eat food right out of the oven? Or fruit at its peak ripeness? You can make your baby’s food right before he or she eats it. It is not processed, doesn’t sit in a jar while being shipped to a store, and doesn’t wait idle on a store’s shelf for long periods of time. It’s fresh! I have definitely noticed that my baby is more likely to enjoy fresh fruits and vegetables. There are even some foods, such as bananas, that he won’t ever eat out of a jar but will gladly consume if it’s fresh. Jarred baby food is heated to exceptionally high temperatures when it is being processed, which depletes some heat-sensitive nutrients. Also, homemade food has no preservatives or added fillers. There are no limits on what you can do. Commercial baby food only comes in so many varieties, but when you make your own, the possibilities are limitless. I have made my baby kiwi, cauliflower, and zucchini. I highly doubt that you can find those in the baby aisle of your grocery store! When you make homemade food, you can also puree it to the desired thickness. If your baby is older, you may want it to be thicker and more chunky as your baby transitions to finger foods. You can also make your food organic if you choose. I know that people say it is not time consuming, but it is time consuming! Before you even start cooking, you need to do a little research on what your baby can eat, where to buy it, and how to prepare it. The next step is going to the store to buy the food. If you are wanting organics, it may be a challenge to find what you are looking for depending on where you live. I live in an Atlanta suburb, and I have had a difficult time finding some organic fruits and vegetables. Preparing the food is also timing consuming depending on what you are preparing. Bananas are great because all you have to do is smash them up. However, if you are making carrots, they need to be peeled, cut, steamed, and finally pureed. That takes a lot of time! And when you have a baby at home, time is one thing that you do not have a lot of. I have made quite a few mistakes in making baby food over the past few months. Several times I have made food from fruits that were not ripe. The end result was very tart goop that even my dogs wouldn’t eat. There is also the added risk that your baby might just not like that particular food. If you make a whole batch of it, and then your baby doesn’t like it, you may be stuck eating it yourself. If you are out and about with baby during the day, the baby is going to need to eat lunch at some point. I suppose you could pack up food that you made, but it sure is easier to just open up a jar. For some families, buying commercial baby food is probably the better way to go. If both parents work or go to school or are busy with activities or other children, it would be hard to find the time to mash up food for the baby. On the other hand, if you are on a tight budget, it might be worth spending some extra time in the kitchen so you can spend less money and give your baby some healthier food options. And there is always the option of doing a combination both which is what I do. I dedicate one week a month to making as much food as I need for that month. I find that if I spend an hour each night that week, I am able to have plenty for my baby. I also buy some food so that I can have my baby try new foods without committing a bunch of time to making it myself. That also allows me to have jars when I am out and about. Do you make your own baby food? Do you have any good recipes to share?